There is ONE day in October that I really, really like: Halloween! I used to dress myself as a witch and go door to door with some friends. But we do go door to door! All dressed up! No, I don’t do that anymore. Although I sometimes wish I could still do so! 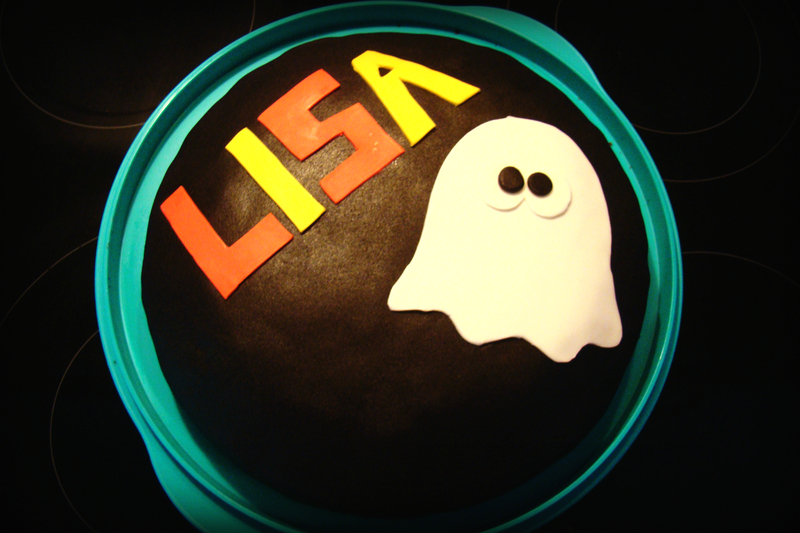 My first cake for her was the one with the little ghost. She absolutely loved it! My second one was a bit harder to make because I wanted to make a witch. So I printed a picture and cut it out in the fondant. I also made a tiny pumpkin. Awww thank you so much! You’re too sweet! I love halloween for cookies and cupcakes! Lisa’s cookie is adorable! Such adorable cakes I love them! Happy October! Thank you so much! Happy October to you too! 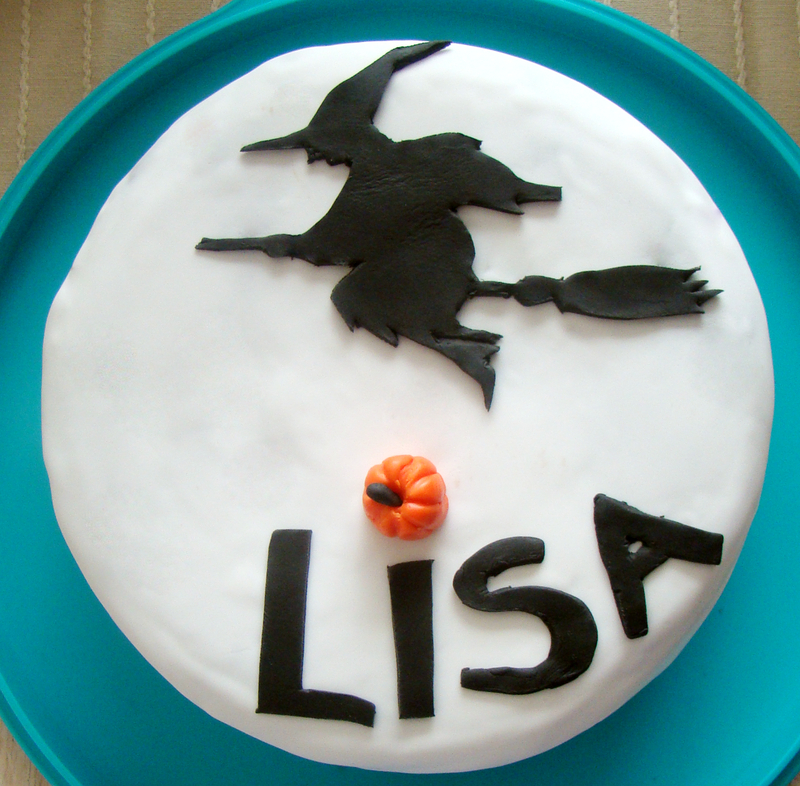 Beautiful cakes, I love Fall and Halloween.